Welcome to the Eggares Olive Press, a charming family-owned museum, café and shop. 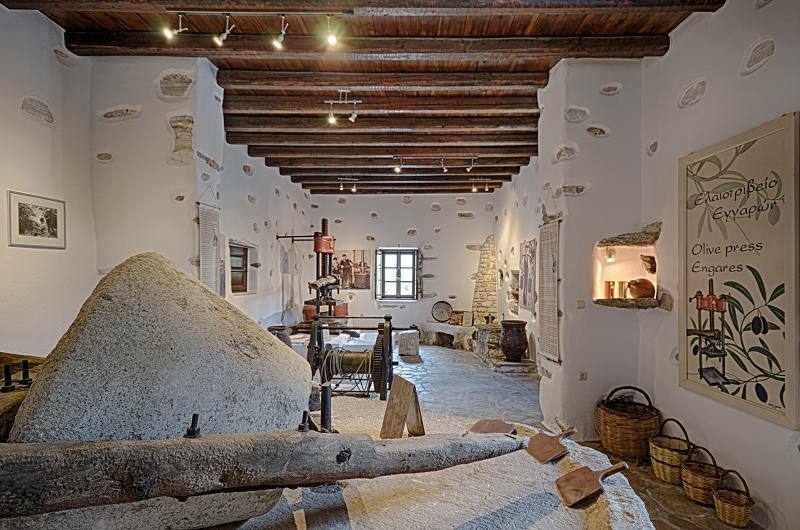 Housed in a renovated traditional and authentic 19th-century olive press, it that has been in the Lianos family for generations. 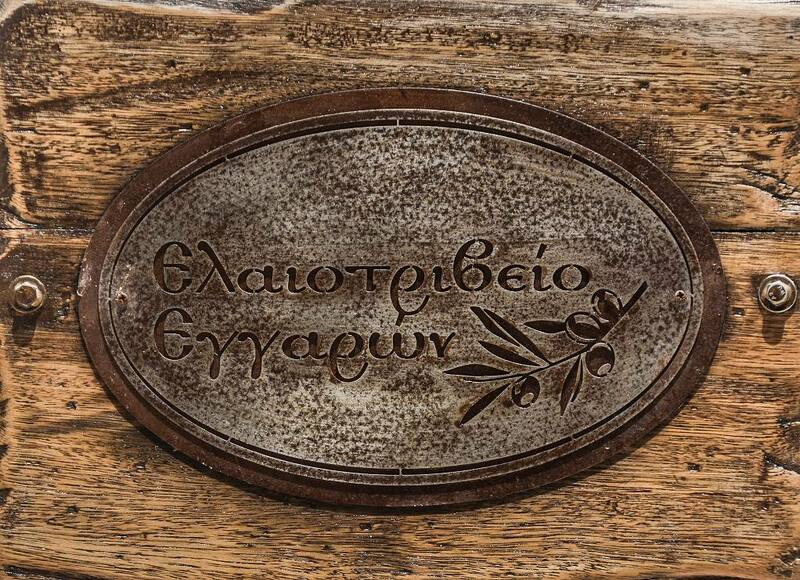 Located in the fertile village of Eggares, just 8 km north and about 15 minutes from Naxos town, the Eggares Olive Press is a delightful place to experience a bit of Naxos’s rich agricultural history. View actual tools and equipment that were used in the space at that time. Visit and learn about the traditional methods of olive oil production from a brief presentation (free tour) provided by the Eggares Olive Press team. 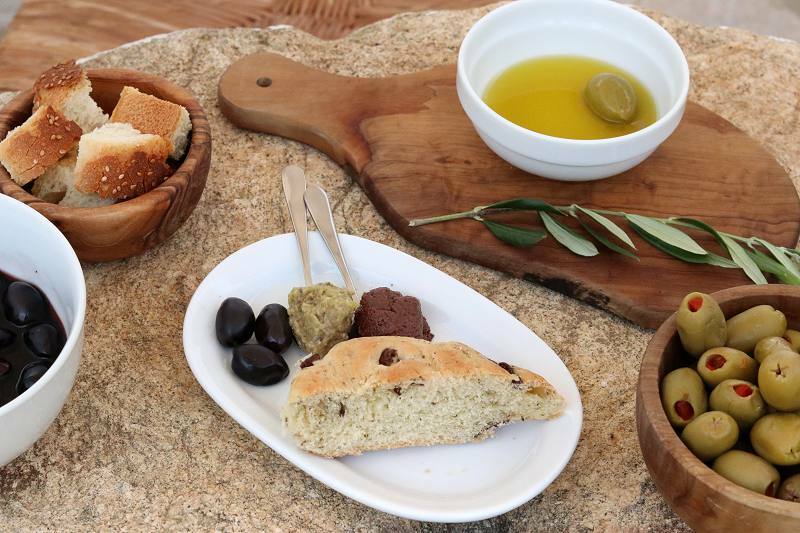 After the free tour and short trip back to olive-oil-production history, take the time to indulge in a free tasting of olive oil treats in the venue’s adjoining olive kitchen-shop nook. Taste a variety of olive oils. The homemade olive bread is delicious as are the olive cookies (vegan), “Best in the Universe” olive cake (also vegan), olive paste and specialty olive marmalade. Like what you tasted? Don’t fret. Many of the goodies you sample — from sweet and savory marmalades, to olive oil varieties — are available for purchase to take home. Souvenirs such as T-shirts, guide books, olive wood cookware, bookmarks and body care and hair care products are also available. Have a bit of extra time, perhaps after biking or hiking nearby trails, or exploring the villages and/or beaches of Naxos? 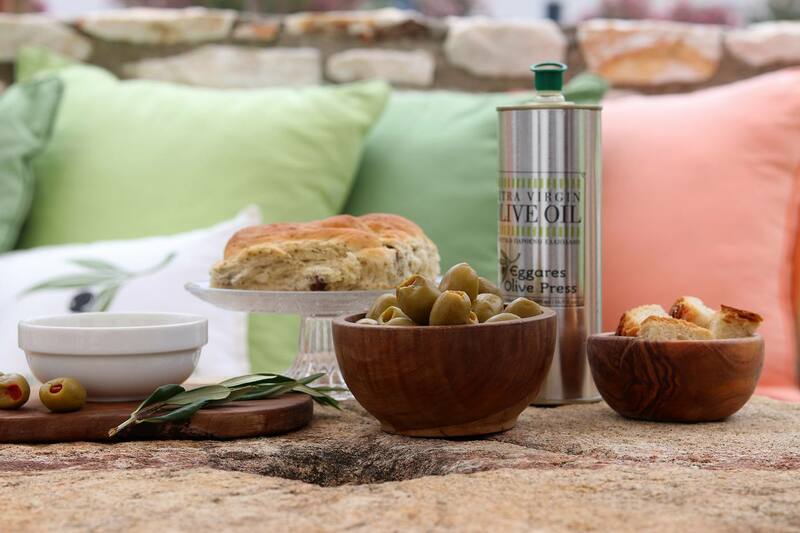 The Eggares Olive Press café offers a lovely outdoor patio in which to relax enjoy an authentic and Naxos-inspired snack. Cool off with a beverage such as iced herbal tea, glass of local wine, or aperitif ouzo or the local citron (kitro) liqueur. Revive with a spoon sweet preserve made with Eggares oranges or a serving of Naxos fava (split chick pea pureé) or hummus. 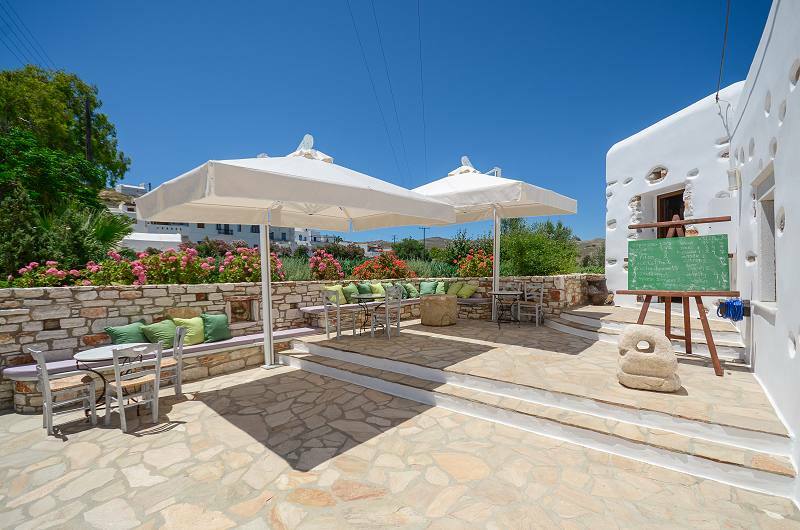 Set in the scenic location of the Eggares valley — with olive groves, evergreen trees, wild shrubs and aromatic herbs — Eggares is considered one of the Naxos’ most verdant villages.